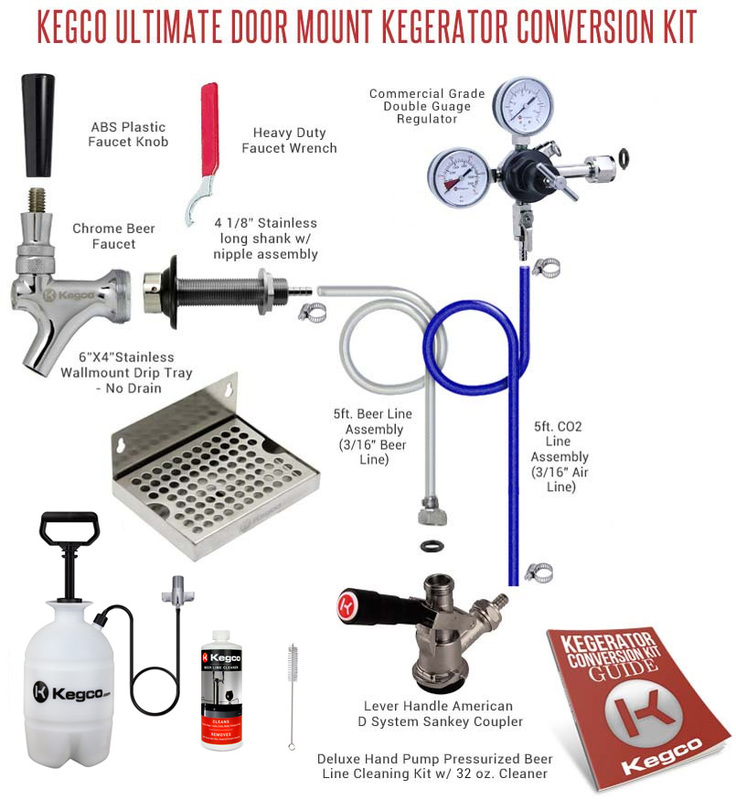 Kegco's Ultimate Kegerator Conversion Kit is the complete solution for anyone wanting to convert a refrigerator or freezer into a high quality draft beer dispenser! Kegco has thought of everything with this kit, from the NSF approved commercial-grade American D system keg coupler to the durable pro series double gauge regulator. The stainless steel drip tray contains any drips or spills, and we've included our easy-to-use Deluxe Hand Pump Pressurized Cleaning Kit - the only hand pump kit that doesn't require you to remove your faucet before cleaning - to help you ensure that your lines stay free of build up so your beer can keep it's brewery fresh taste. Every Kegco kit comes complete with detailed instructions, and our knowledgeable product specialists are available at 1-800-710-9939 to help answer any questions you might have.